Monster Capturer doesn't quite have the same ring as Monster Hunter, but that's something you can do in Monster Hunter: World—and it can sometimes offer even better rewards. Some missions will require you to capture monsters alive instead of slaughtering them like normal, and it can be a bit tough. While smaller monsters can be caught simply by aiming a net at them, the bigger guys will require a bit more effort. 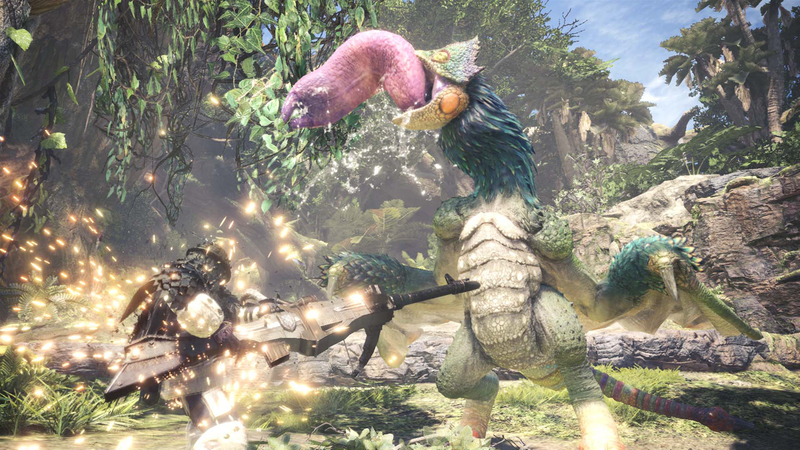 Capturing monsters involves one common strategy, and here's how it goes down. First, fight the monster like normal, and weaken it to the point of slowing it down. When it begins to limp and run away, run ahead of it. Try and move ahead of its path, and drop shock traps in its way. Shock traps are crafted with trap tools and thunderbugs, and when a monster hits them, they'll be stunned. While it's stunned, equip a tranq bomb and throw it at the monster's head. If done successfully, the monster will be knocked out and captured. If you miss, the monster will eventually get up and keep running. To craft tranq bombs, you'll need sleep herbs and parashrooms. Tranq ammo will work as well. Different methods include sneaking up on a monster and placing traps while it sleeps or you are unseen and starting from there. It's a stealthy alternative compared to running in with weapons swinging. If you have a mission that requires you to capture a monster, the necessary items will be in your item box at the start of the mission, so just grab them from there.